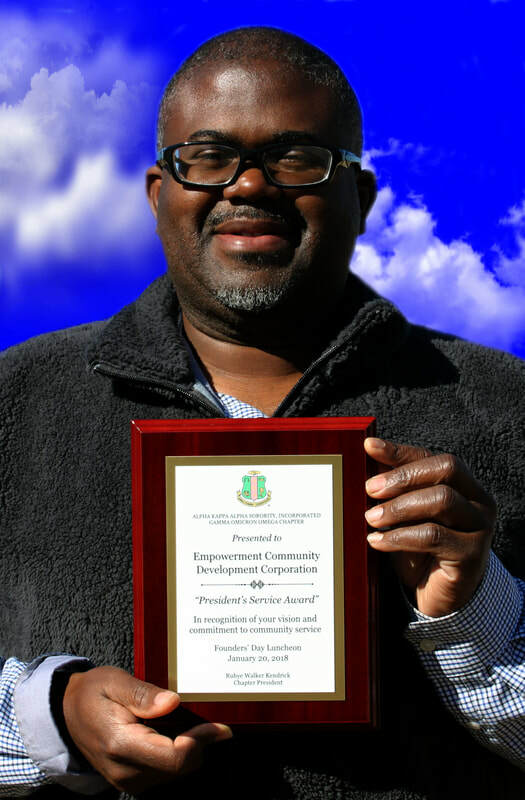 The Empowerment Community Development Corporation is a 501(c)(3) not for profit organization with focus on Education, Tourism, Veteran Services, Scholarships, Youth Mentorship, Historical Preservations, Community Development, Housing, Economic Empowerment and Small and Minority-Owned Businesses. Our Mission is to engage in community development activities that provide resources to educate, equip and empower individuals, families and communities. Our Purpose is to impact low to moderate income areas in East Texas. Our Vision is educating, equipping and empowering communities. Alexander to serve as Board of Directors. In 2016 Frank Delacroix, Clarence Shackelford and LaToyia Jordon became part of the Board of Directors. In 2017 Gloria Washington and Rhonda Brinkley has been added to the Board of directors while Christian and Frank have resigned. In early 2017 The Board of Directors approved Stanley to serve as President to a 5-year term until 2022.
the Tyler’s Half Mile of History. They were both born in Tyler were accepted and have their marker on the downtown square. Partnership was formed with the City of Tyler to host a meet and greet for Tyler’s new fire Chief David Coble. We also co-hosted with the city the first Rosa Park’s day in Tyler. We also hosted a meet and greet for Tyler’s first female Postmaster Falonda Woods. Joy/Williams Brother’s and Richard Wallace original member of the Mighty Clouds of Joy. October 28, 2017 we held the Veterans, First Responders and Military Personal- Thank you for your Service Festival with singing guest Kadie Lynn. Many were honored with the Golden Eagle Award for their service. Four Members have been though A Circle of Ten, Inc. ~ Network for Collaboration for grants workshop.